Exactec was originally established as a screen-printing entity in 1976. The primary source of revenue, at that time, was derived from Litton Industries by printing on microwave oven doors. The company purchased its first laser in 1979 and incorporated in 1980. Subsequently, the company has experienced consistent growth, occupying three different facilities over the years. 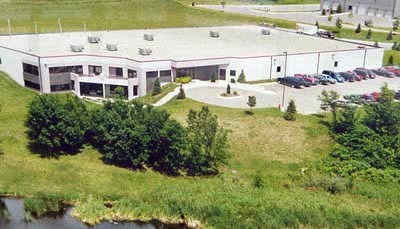 Our current location houses our office, design, and manufacturing areas in a 33,000 square foot facility. It is situated on six acres with adequate room to expand as we continue to grow. We also utilize outside warehousing. Under the present ownership since 2000, Exactec is a full-service plastic fabrication and screen printing company, that consistently provides national retail customers and Point-of-Purchase design firms with exceptional displays, signage, and store fixtures. From concept review, to prototyping, manufacturing, and fulfillment, Exactec is your complete service provider.